← How I made 150 cards in 3 months! I hope you are having a great day! 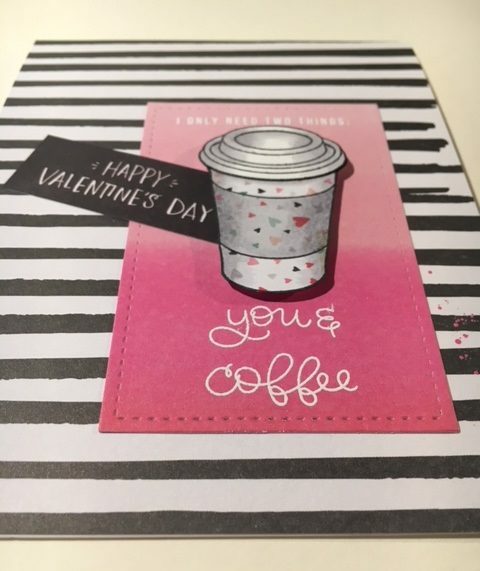 Seeing that today is Valentine’s Day I want to share some Valentine’s Day Cards with you. 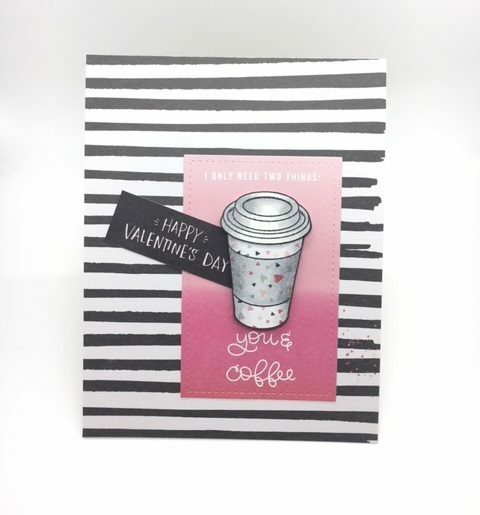 This year’s theme was coffee & tea, because it combines two important things: Love & Coffee. 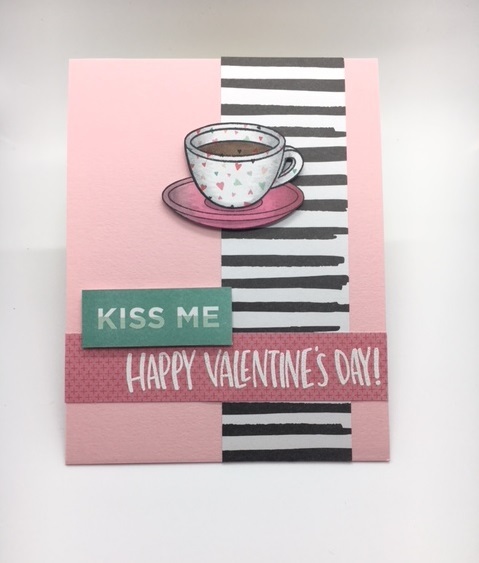 For the cards I used Simon Says Stamp’s last year’s card kit “Coffee Tea and Cocoa”. 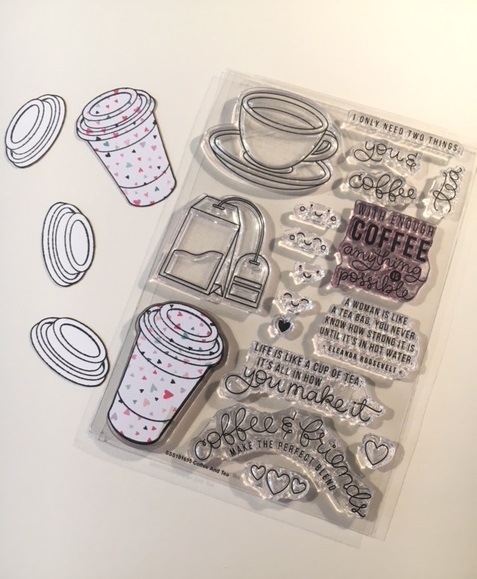 The images of the stamp set are adorable and of course go very well with the patterned paper it came with. 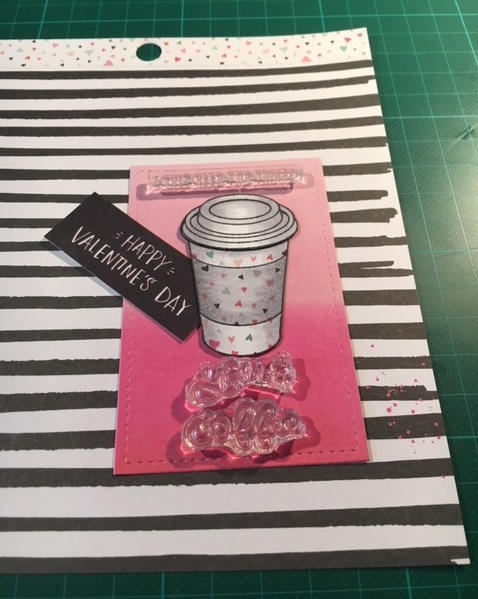 Especially the small patterned paper lend itself very well to my idea to use it for the stamped images. 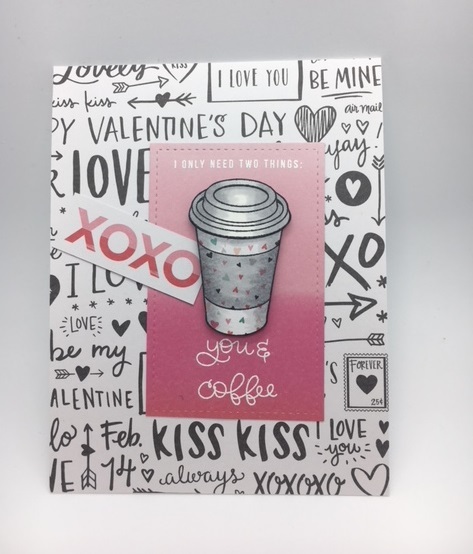 After I found a layout I liked I stuck to it and made two cards with the paper coffee cup and one with the cup & saucer image. Hope you all have a beautiful day that you can spend with someone special! 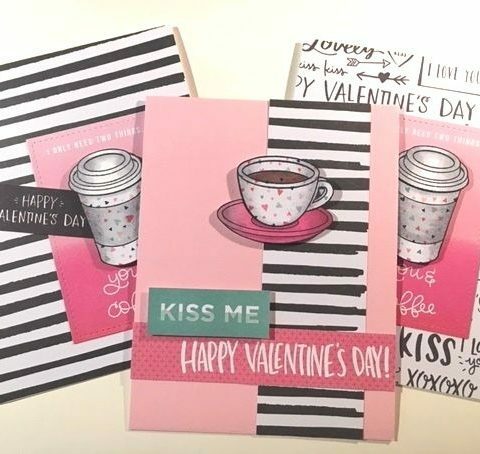 See here also my Valentine’s Cards from 2015 and my Love Bird from last year! 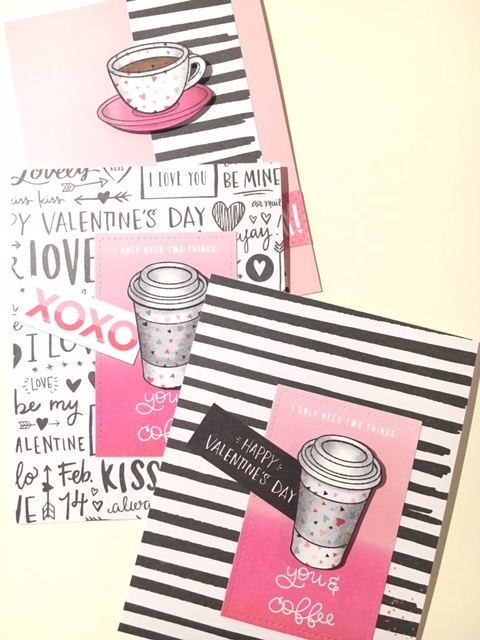 Dieser Beitrag wurde unter card series abgelegt und mit Coffee, Simon Says Stamp, Valentine`s Day verschlagwortet. 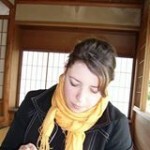 Setze ein Lesezeichen auf den Permalink.